In the tech industry, it’s easy to observe the process of premium technology becoming cheaper and more accessible as new developments are made. This cycle is exemplified by the annual releases of smartphones, as old innovations, such as 4G and HD cameras, become standard features across the industry. Less talked about is how this cycle affects the auto industry, as safety features once only available in high-end car models are now increasingly becoming standard features. For anyone who hasn’t purchased a new car in the past few years, the affordability of these life-saving features may come as a surprise. In some cases, buyers have access to these former high-end features for no extra cost. What new features can buyers expect? In a news segment out of Louisiana, KTBS profiled some of the safety features widely available in new vehicles with the help of their local dealerships. Collision alert allows drivers to set their preferred distance in front of them, from 1 to 3 car lengths, and a warning will go off if the brakes have not been applied when a hazard is within this distance. Another feature, adaptive cruise control, uses a similar system to make cruise control safer. Drivers used to have to disengage cruise control by braking to slow down and prevent a collision with slowing traffic. Adaptive cruise control can detect this decrease in speed and slow down automatically to maintain a safe distance. Two other features, lane departure warning and lane keeping assist, help drivers stay in their lane and keep from drifting over. 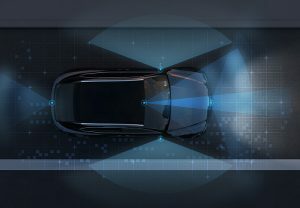 The lane departure warning system, which uses cameras in the vehicle’s mirrors, alerts the driver when their vehicle starts to drift over the lane boundaries. This warning can vary depending on the make and model, but can be a warning light or haptic feedback vibrating the driver’s seat. Lane keeping assist also helps drivers stay in their lane by giving the steering wheel slight tension when switching lanes, which can be helpful if the driver loses focus or is checking blind spots over their shoulder. A myriad of other sensors and systems in these new models allow for other features like front & rear parking assist, blind spot monitoring, automatic emergency braking, rear cross traffic alert, and a host of others. Due to the increasing regularity of these features being standard, more and more drivers will have better awareness of their surroundings on the road. In turn, the risk of being involved in an accident will decrease for them and the drivers around them. Unfortunately, it is unlikely that these new features will completely eliminate accidents on the road, due to the unpredictability of the human factor. Make sure your rights are protected. If you or someone you know was injured in an auto accident, contact us today for your free case evaluation.